Yes, folks, it's true. Summer is winding down and most of us have our sights set on the happenings of autumn, including the arrival of Halloween, which is Martha's favourite holiday. Always eager to get a jump-start on the season, Martha recently debuted her new line of Halloween goods at Grandin Road. 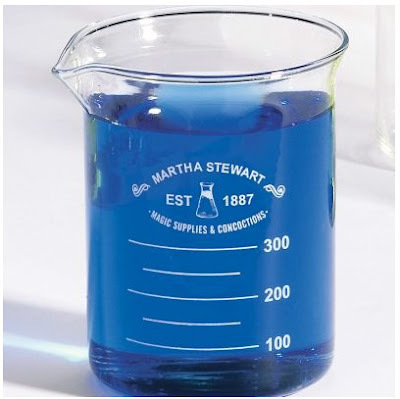 My favourites are these sets of blown-glass chemistry flasks, beakers and glassware, mainly because of their collectibility and versatility. 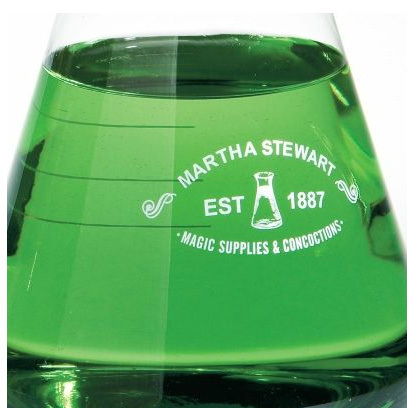 (Unique in design and printed with Martha's name, they are likely to not lose their market value over time and could become quite sought-after by collectors.) I love that they are made for Halloween parties to serve all manner of mysteriously tainted beverages to guests but that they could also be used year-round for other purposes: vases and decanters among them. 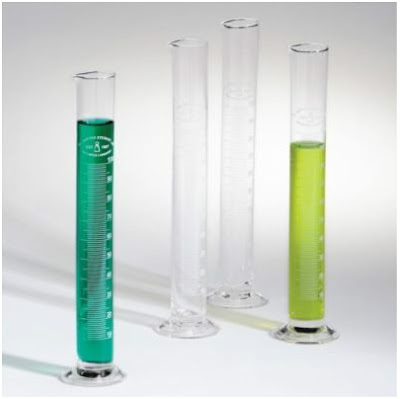 The beakers and measuring cylinders come in sets of four for $19.99. 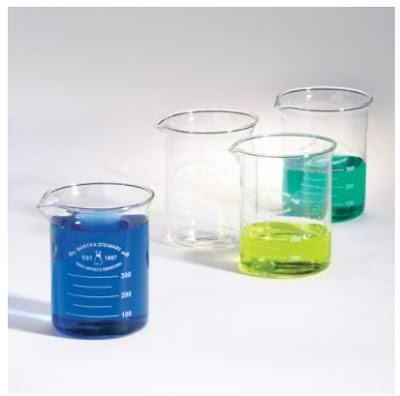 The Erlenmeyer flask (bottom) sells for $29.00. I LOVE these!!!! :D ...and can't wait for all the new fall and holiday items! bought! :) These will make a cute wedding gift for a halloween loving couple. Post like this are why I missed this blog! Thanks Andrew!